Don’t EVEN say too soon, because it is NEVER too soon to get into the Fall Vibes. The weather might not be completely cooled off yet but we can pretend and prepare our homes! 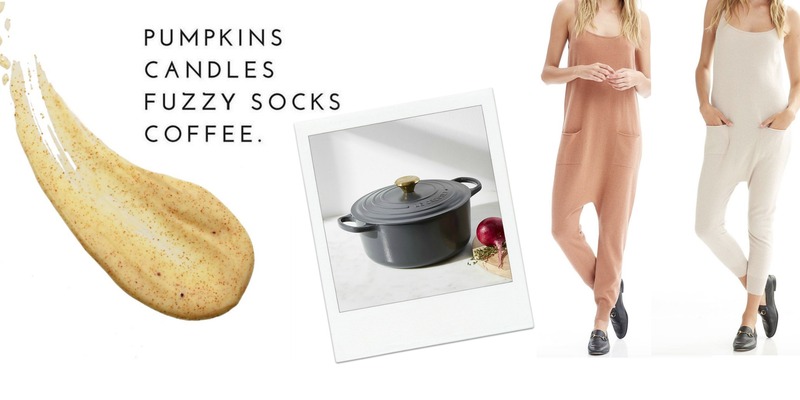 Fall is one of my favorite times of year because I have another excuse to get cozy! !Fall is all about football, chili, candles, and blankets for me! If you can’t tell, I love any excuse to stay in and snuggle up on the couch! 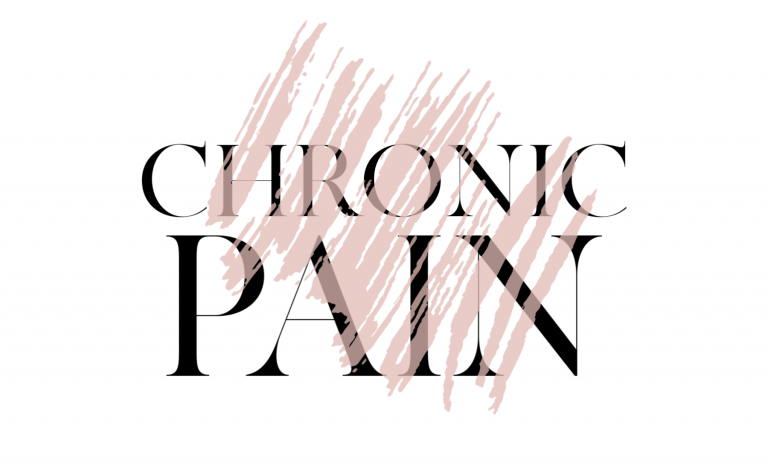 Here are some essentials you need to get yourself Fall ready! && Click anywhere in the description to shop! There’s literally nothing better than making a big pot of chili and having football on the TV! To celebrate the first kick off of the season, Cam had his bro’s over and I whipped up my best chili yet. It’s SO easy and SO fall. It’s honestly pretty healthy too. Do you guys want my recipe?! Comment below! 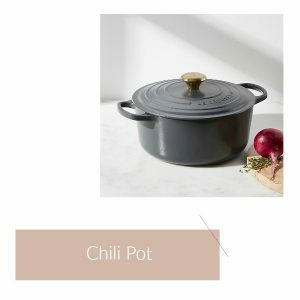 As for the pot, all you need is a nice big cast iron pot and it will never let you down! I also make my chicken soup in it and anything else like that! I mean are Fall candles not just THE best?! There is NO better smell. Maybe Christmas smells but STILL, Fall gets you excited for Christmas too! I love candles that aren’t too sweet and still smell a little fancy. 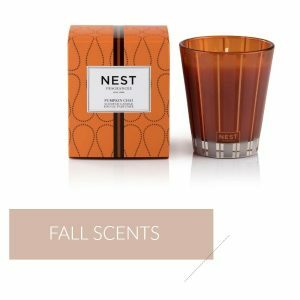 I love Leaves from Bath & Body Works, I love Nest’s seasonal candles, and of course my Cozy Candle from FEEL by LE is perfect for Fall! As the weather does cool down the air gets dry. It’s so important to lather up with moisturizer! 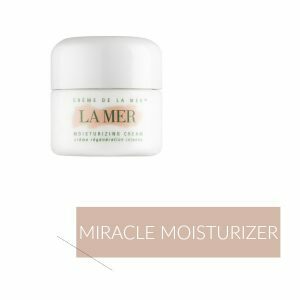 La Mer’s Moisturizing cream saved my skin last year especially when I was going home for the holidays! 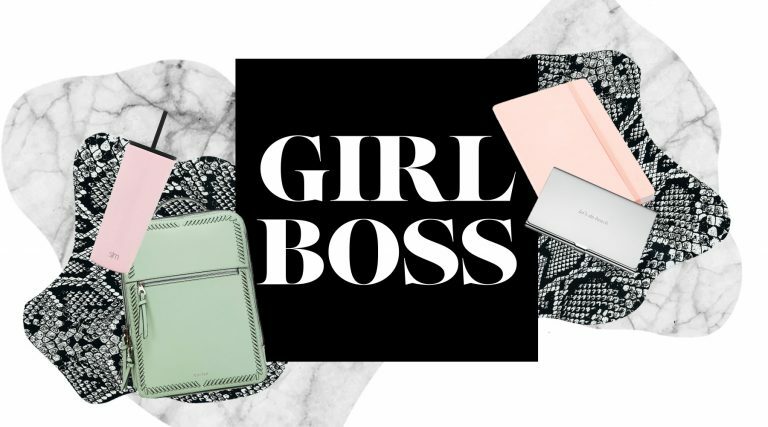 I always say, my pro shopping tip – buy the travel size version since it’s the least expensive and will last you for a while! 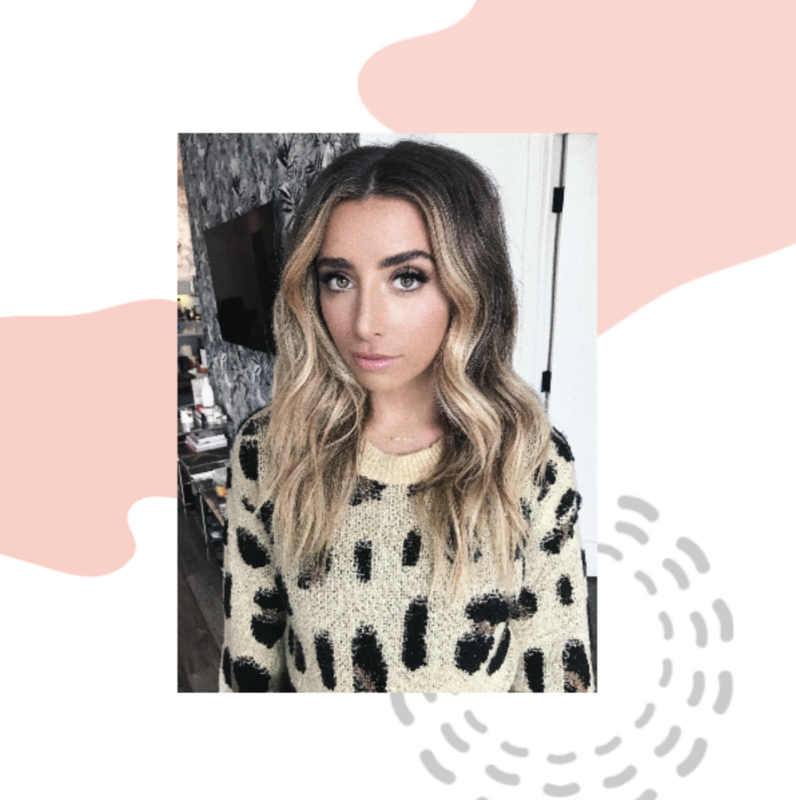 You only need a super small amount because it’s so rich and seriously changes your skin! Just in time for Fall, Summer Friday’s launched their newest product! 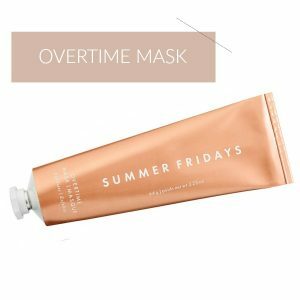 The Overtime Mask! It’s a gentle exfoliator and mask treatment that leaves your skin feeling SO soft, like a babies bottom. It also happens to smell like FALL PERFECTION! Seriously it’s this pumpkin cinnamon dream! I really wish I could eat it… But, it such an amazing exfoliator I won’t. Perfect for keeping your skin bright even when the weather gets dull. The FEEL serving platter is perfect for Fall because it’s all about staying in and entertaining! I use mine every single day! Whether it’s as decor, or for cheese, snacks, desert! It’s perfect for a couple people or a whole group! The more serving tray’s you own, the more fancy you can get when setting out food! It makes such a difference for that homey feel! 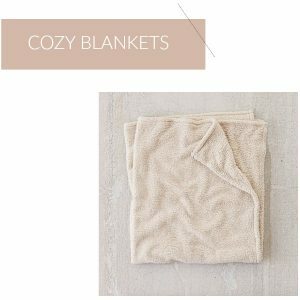 We all need cozy blankets in our lives! I love this one from Urban Outfitters because it’s a neutral autumnal color and is SO SOFT! Very affordable as well! It feel soft on every side whereas most blankets are lined! When I saw it in store I knew I had to have it and here I am currently wrapped up in it writing this post! 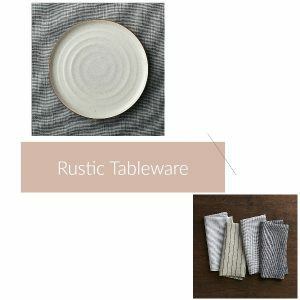 I’m having a rustic tableware MOMENT! I love it for most seasons but I’m just getting around to it for Fall! I got all new fun linen hand towels and natural looking plates for setting up dinner! It’s such a small touch but gives your dinner the best Fall vibe! Shop the linen here, and the plates here! 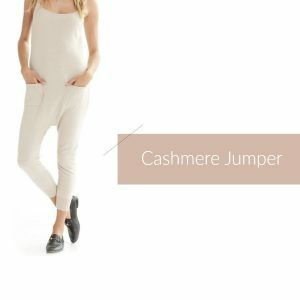 I bet you didn’t know you needed a cashmere jumper till NOW! I remember seeing this on Instagram and immediately freaking out. It is the comfiest and best purchase I’ve made in a while! They have tones of colors and you can lounge around in them at home or dress them up! So so perfect! Comment below what your Fall Essentials are!